10 September | Nairobi, Kenya The Kenya banking industry during a CEO Roundtable meeting held on 10th September 2013 approved a move forward to create a joint initiative that promotes best practice in sustainable finance. 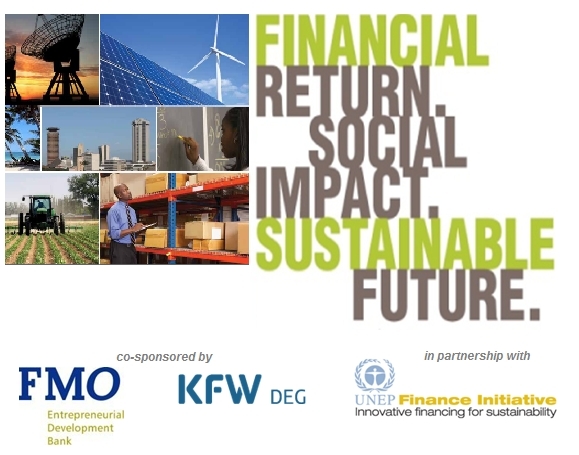 The KBA Sustainable Finance Initiative (SFI) would explore opportunities for industry alignment while building industry wide capacity in the area of environmental and social risk management, in line with the country’s long-term development plans as outlined in the Government’s Vision 2030. During the CEO Roundtable, KBA Chief Executive Officer, Mr. Habil Olaka said: “Kenya’s banks are regional leaders of the financial services sector, we therefore are confident that the KBA member’s commitment to promote a competitive financial system that drives sustainable economic growth through market-based solutions will not only develop the industry and bolster Kenya’s role as a Financial Sector Regional Hub in line with the Kenya Vision 2030, but also it will promote better social and environmental practices in Kenya”. Mrs. Yuki Yasui, Acting Head of UNEP-FI emphasized the positive outcome of the CEO roundtable meeting, said “We are proud to have consulted with the Kenya Bankers Association on financial sector sustainability since 2010. With a financial system that is amongst the most mature and largest in sub-Saharan Africa, Kenya’s banking industry is well positioned to contribute to and gain from the country’s long-term development plans. Not only the mitigation of risk, but also opportunities including renewable energy will strengthen the banking business. We firmly believe that integration of environmental and social standards will be beneficial to the sector, the Kenyan economy and its society”. The CEO round table discussion was facilitated by KBA and UNEP Finance Initiative (UNEP-FI) in collaboration with the German and Dutch development finance institutions DEG and FMO. View the press release by KBA here. More information here.